Focusrite Scarlett 2i4 – Swapped out Fostex MR-8HD for direct USB recording into Traction 6 for recording tracks. 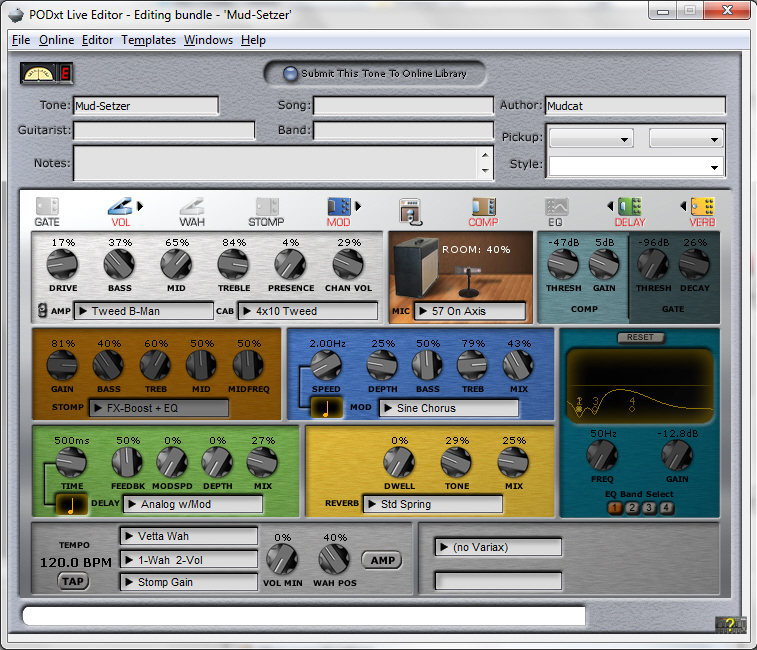 So far works great, except for 150 ms latency lag on recordings made with existing track. Used with Variax Acoustic 700 -> PodHD 500 -> Channel 1; Behringer B-1 Condenser Mic -> Channel 2. 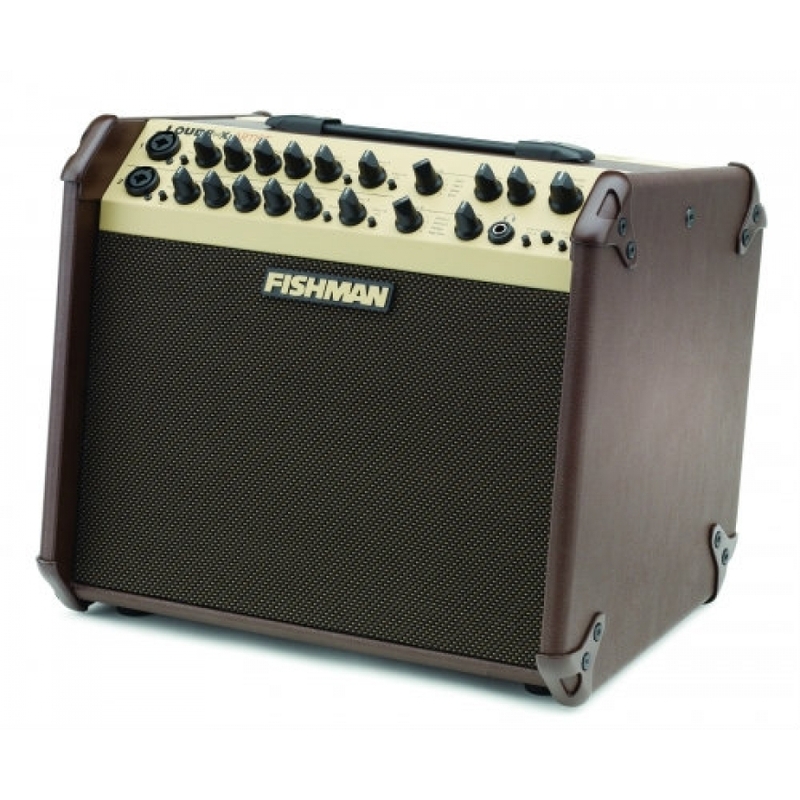 Fishman Loudbox Artist — SM58/Variax Acoustic 700 -> PodHD 500 -> Bose Tone Match -> Loudbox; Bass = Flat; Treble = Flat; Mid = Cut 100%; Channel Input @ 50%; Output @ 40%; Amazingly loud and clear even though it is smaller than my Blue Junior. Primary use to replace Berhinger K3000FX keyboard amp as gig backup to Bose L1 Model II; 45 lbs. less than K3000FX; Will do side-by-side with Bose at gig. 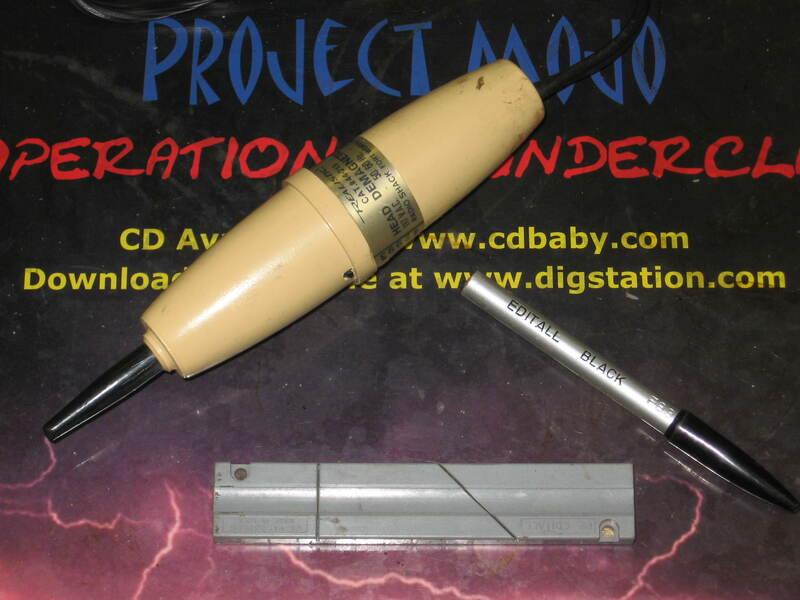 Wow, found my head demagnetizer, tape editing block and marker lurking in the bottom of my tool box . . . . Been a while since I’ve needed any of that stuff. Holy crap. I am still trying to get my free Cubase LE 5 that came with my Zoom H4n installed. What sadistic bastards devised this hazing process? If this experience is any indication of the user friendliness of this DAW software, it will not be long on my computer — especially since they registered me for Zambia after I selected USA. I finally retired my “BIC Lighter” — the iRiver IFP795 mp3 player that I used for over five years to take a tap off the mixing board or headphone amp to record every Project Mojo gig (nearly 600 of them to date). It was simple and worked good, but it’s getting old, tired and a little cranky — sometimes the buttons randomly swap functions. It’s also been left behind in the Windows world, back in XP-land, so off loading tracks relies on an equally old, tired and cranky Acer laptop. I had tried a Creative Zen VPlus for a while but it wasn’t as reliable and if the internal battery ran down at a gig, I was SOL. After excessively eye-balling the latest generation of hand held recorders from all the usual suspects — Boss, Tascam, Sony, Olympus, M-Audio, Alesis, Roland, Eiderol, Korg, Zoom — and finally pulled the trigger on the Zoom H4n (http://bit.ly/fhFYKP). 1/4 inch & XLR inputs for line input from Board, Rack, Guitars, Keyboards, microphones, etc. I got the unit last Friday and it passed the intuitive test, as I was able to record in all the modes readily and successfully without referring the manual (though it will come in handy). Saturday I used it for the first time at a gig and both Lola and Jake agreed on the ride home that the sound was much better than the BIC Lighter – and that was in mp3 format, because I haven’t gotten the 32 gig SD card to gulp down audio wave files. So far, so good . . . .